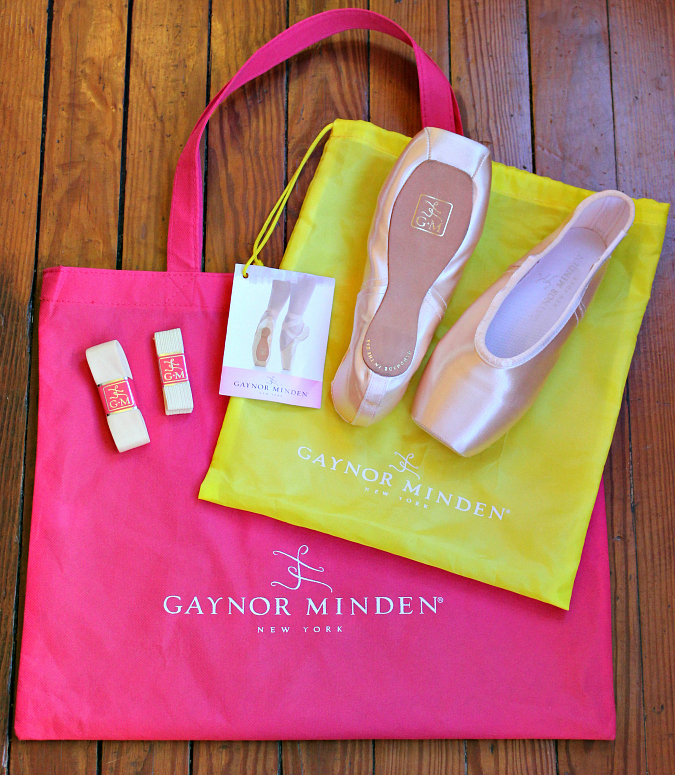 we paid a visit to the gaynor minden boutique in chelsea when we were in nyc on friday and i just love it there! 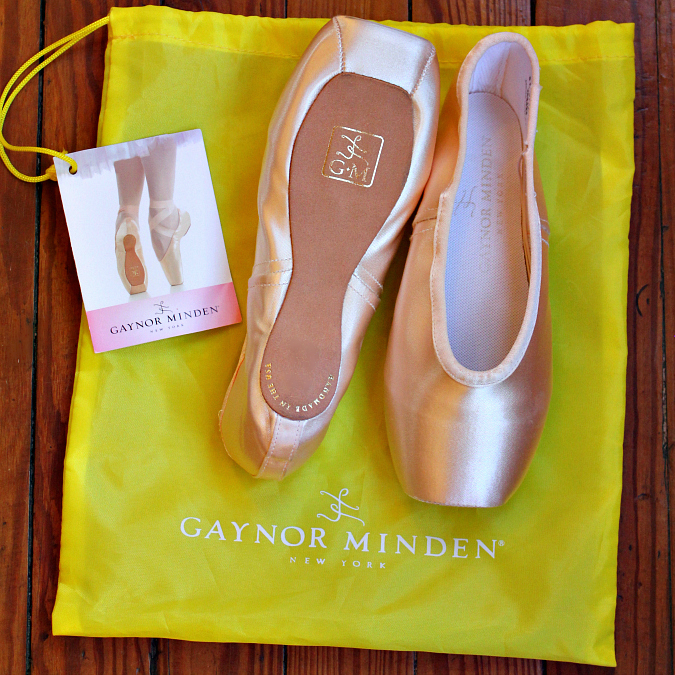 i was only ever there once before in november when i last bought pointe shoes. 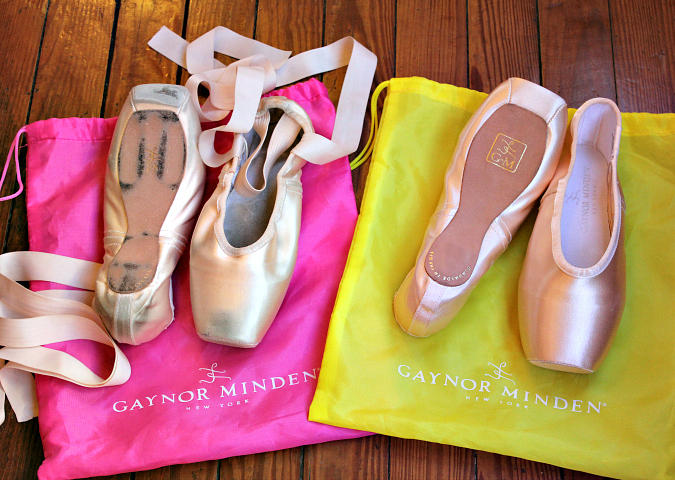 i was due for a new pair for the start of the new dance season. 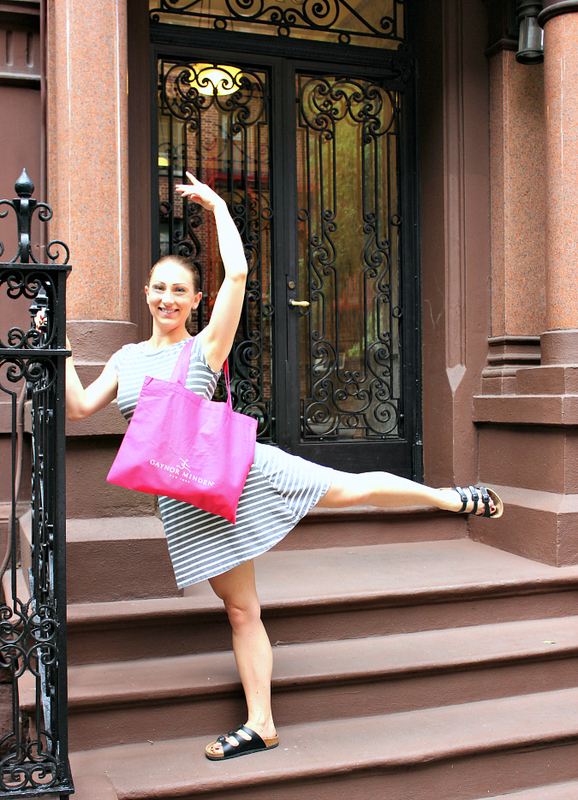 since we knew we were going to be in nyc on friday, i called the boutique to make an appointment for a fitting because i knew i wanted to change a few things about my shoes this season. the timing was perfect because our dance classes just started back up. the experience was great (they have the best customer service) and i even walked out of there with an unexpected discount too! that made me a very happy dancer! dance shoes don't stay pretty and clean for very long, so i couldn't resist taking a few pictures before they get all dirty this season . . .
. . . and just for fun, a side-by-side comparison of my old shoes after just one season. they're not completely dead yet, so i can still get a little bit of use out of them, but i knew they wouldn't survive the whole season! Aren't they beautiful. 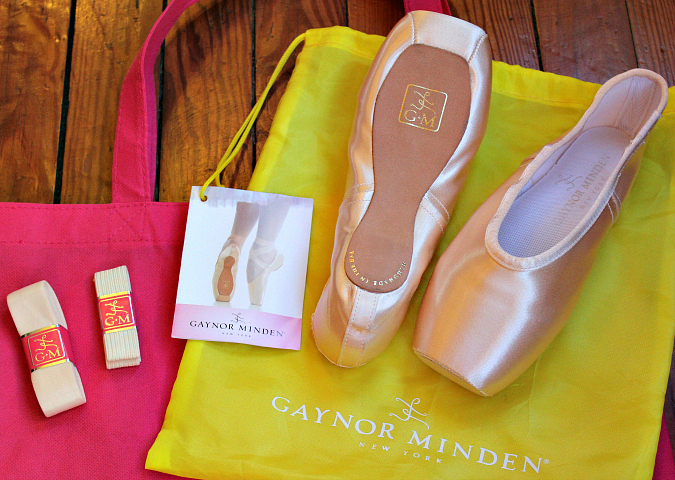 There is nothing like the sight of new pink satin pointe shoes.